There’s a well-known thesis that Jeff Tweedy is at his best when he’s collaborating with someone else. That might be Jay Farrar in Uncle Tupelo, Jim O’Rourke in Loose Fur, Jay Bennett in Wilco 1.0, or Nels Cline, a.k.a Mark Kozelek’s favourite guitarist, in Wilco 2.0. This time he’s found someone new to work with, namely his teenage son, Spencer. Tweedy Jr. is on drums and it’s not his first time. Over the last couple of years, he’s found his way onto a number of songs for artists that his father has produced, including Mavis Staples and White Denim. Here, he’s centre stage with his dad. Nothing too much is demanded. Nothing too fancy is delivered. Sounds pretty good. At this point, though, it’s moot as to whether or not Spencer is an artist who can bring out the very best in his father. There are no fewer than 20 tracks on Sukierae and one or two are perhaps just a little superfluous. There’s a sense of sketches being worked up, demos being fleshed out. And at times it’s more than a sense. Half way through ‘I’ll Sing It’, the song fades to the demo tape, Tweedy loses his way, curses, and with a click the tape stops, only for the fully fledged version to restart. It’s a nice touch. While maybe not every song is a full-blown Jeff Tweedy classic, there are plenty of really strong moments. ‘Diamond Light Pt. 1’ and ‘Slow Love’ are the pick of the more experimental tracks. ‘Summer Noon’ has a real Sky Blue Sky-era feel to it. ‘Fake Fur Coat’ and ‘I’ll Never Know’ help to bring the album to a beautifully calm conclusion. But if there’s a pivot around which the whole album revolves, then it’s ‘Nobody Dies Anymore’. It’s a lovely song about a terrible theme, the horrors of gun crime in Chicago. 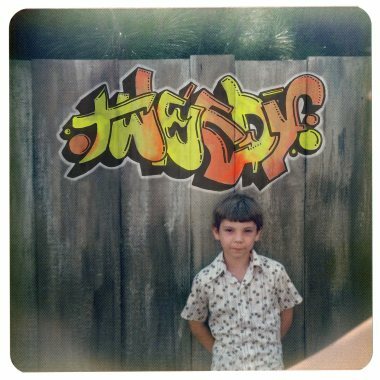 But it’s worth bearing in mind that the album is named after Tweedy’s wife. Turns out she’s been very sick. With this in mind, it’s tempting to hear the song title being delivered as an order rather than a description. Let’s hope the message gets across. After all, there’s a well-known thesis that Jeff Tweedy’s very best work is always done in close collaboration with others. Posted in Tweedy and tagged as Music, Review, Tweedy.